In her book Prayer Warrior, author Stormie Omartian offers the reader a look at how prayer can be used to accomplish personal victories in life. The reader must first accept the premise that life is a war of good versus evil and that God is the ultimate Commander in Chief, a commander that deserves respect, honor, and if need be, blind loyalty. After identifying the enemy, the reader must ascertain if he or she is fighting accusers, evil, avengers, tempters, lies, thieves, or other such versions of Satan. Furthermore, anyone rejecting God's truth is considered to be either deceived or delusional. Being a prayer warrior is considered a high calling in and of itself and the recognition that one is, indeed, a prayer warrior gives one the authority to carry through in that position. 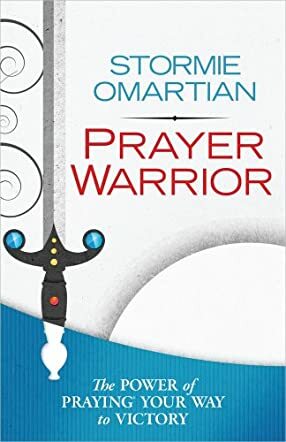 Author Omartian contends that being a true prayer warrior keeps one from doing the wrong thing. For this reader, it was all a bit overwhelming and compact. It did not allow for human error and differences of opinion. Those who hold fundamentalist attitudes about religion and interpretations of the Bible will adhere to the teaching in the book. Those with more flexible attitudes may struggle with the concepts of the book. The most helpful section of Prayer Warrior was that of what prayer actually offers the believer. In this section, the value of prayer as it relates to the concepts of Protection, Healing, Guidance, Deliverance, Provision, Safety, Confusion, Harassment, and the Hearts of Children are all reviewed. Each of the concepts is accompanied by a Bible verse intended to provide aid and comfort during the prayer.